Gentrification is a popular topic in American pop culture, but one that’s mainly addressed through cliched caricatures of skinny-jeaned, PBR-swilling hipsters displacing thuggish urban gangstas. 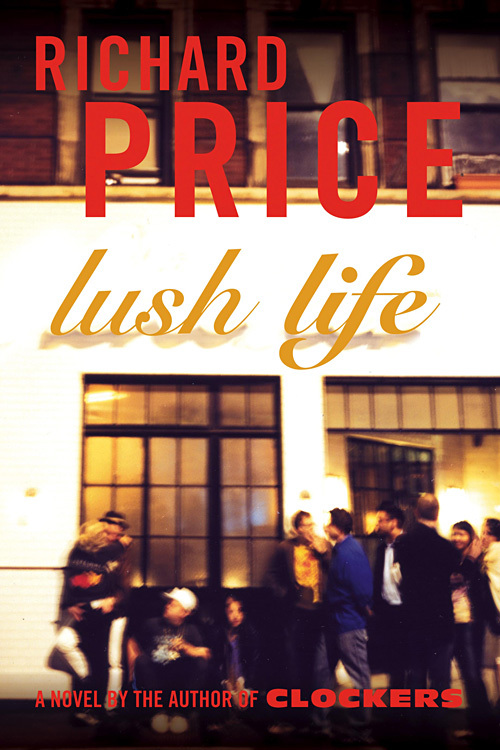 So it’s to our benefit that Richard Price, who’s been taking urban America’s pulse since Clockers, has adopted gentrification as a major theme in his more recent work, starting more or less with this book. Lush Life is a novel about the murder of a young white aspiring actor and the resulting shockwaves sent out through the ethnically and economically diverse world of Manhattan’s Lower East Side, and a lot of novelists–say, Tom Wolfe or Jonathan Franzen–might use that premise as a jumping-off point for misanthropic satire, assembling an array of broadly sketched grotesques in the hopes of collaging together an of-the-moment portrait of the national zeitgeist. Richard Price doesn’t do that. He’s got points to make here, but his first priority always seems to be the authentic humanity of his characters. They’re flawed, certainly, but also complex and often self-aware. We’re made to enter their perspectives and view their imperfections from within rather than laughing at them from without. The aforementioned young white aspiring actor is Ike Marcus, who gets gunned down in the street at the end of a night of drunken barhopping. With him at the time is coworker Eric Cash, a 35-year-old maître d’ who’s dabbled in acting and writing but whose vague dreams of creative glory are beginning to seem irretrievably out of reach. (“[P]eople say they’re one thing or another? Then at some point, they just are what they are,” Eric says, echoing a line from Mad Dog and Glory.) The murder isn’t described to the reader first-hand, but Eric claims that Ike was killed by a pair of generic black or Latino youths who could potentially be Tristan and Little Dap, two local projects residents Price introduces us to early on. Bystanders poke holes in Eric’s story, though, and catching detective Matty Clark is left to sort out a mess of conflicting accounts and the even messier fallout of this high-profile “red ball” case. Over the last couple decades, Richard Price has taken a few different approaches to the venerable mystery format. Clockers and Freedomland presented seemingly tricky whodunits that wrapped up with mundane Occam’s Razor conclusions, while his previous novel, Samaritan, proved that he could engineer a genuinely surprising twist without sacrificing realism or thematic resonance. Here, however, the whole mystery angle is abandoned altogether early on, with the case solved for the reader (though not the cops) merely a third of the way in. This leaves Price free to focus on his true interests: His characters and their community. That new context seems to have revitalized him. This book is filled with absurdities that could only have been gleaned (or at least exaggerated) from real life, from the endless attempts of a “Quality of Life Task Force” to “trade up” with their arrestees to a mug shot array made up entirely of celebrities, used to determine when a witness is too burnt out to distinguish one face from another. Price’s always-sharp prose is in top form as well, sometimes taking on a poetic rhythm (“Schoolyard, crêperie, realtor, corner. Tenement, tenement, tenement museum, corner.”) and sometimes just casually tossing out a particularly catchy turn of phrase (Matty’s search through profiles of known local muggers is referred to as “sociopath solitaire”). To be clear, I don’t cite such echoes as a criticism. In school I generally found that the teachers who repeated themselves were the ones who had something to say that bore repeating, and I think that’s often true for writers as well. But, more than that, Lush Life‘s re-use of established motifs doesn’t bother me because the book as a whole feels like its own thing, distinguished not just by its Manhattan class war subject matter but by its weariness and maturity. That’s what’s truly impressive about this novel: Over thirty years after he first became a published author, Richard Price had evolved tonally and stylistically but gotten no less heartfelt or skilled at his craft. I’m really excited for The Whites. • This novel was the basis for a 2010 art exhibit which spanned nine Lower East Side galleries, with each venue showcasing works thematically related to a given chapter of the book. • Speaking of The Whites, early reviews are starting to come in, and they seem pretty glowing so far. Next week: Richard Price hits network TV with the CBS cop show NYC 22. This entry was posted in Books and tagged books, crime, fiction, literature, new york city, novels, richard price. Bookmark the permalink.